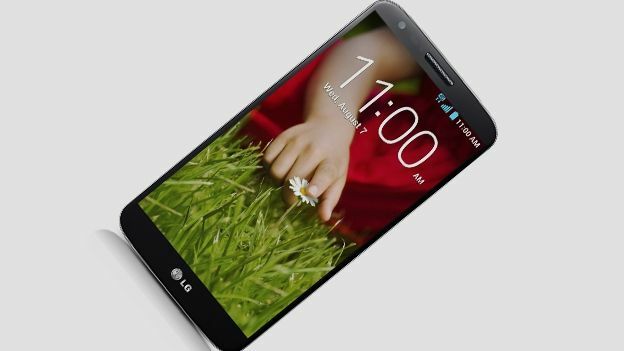 The European LG G2 will require a separate case in order to wireless charge, it has been confirmed. When LG announced its new flagship handset, it revealed that US carrier Verizon had secured exclusive rights to the wireless charging feature. However, it was unclear if the exclusive deal only covered the US, or if it was global. Now LG has confirmed that the exclusive deal is worldwide – that is despite Verizon not competing in the UK market. Speaking to Pocket-Lint, LG confirmed that European buyers of the LG G2 would need to buy and use a separate case in order to benefit from wireless charging. The company did not give details of the wireless charging case. We assume its pricing, name and availability will be announced closer to the phone's release date next month. LG unveiled its flagship G2 smartphone earlier this month. It features a 5.2-inch screen with a 1920 x 1080 True HD IPS+ display. It is also powered by a 2.26GHz quad-core Snapdragon 800 processor – the first phone to feature Qualcomm's latest chipset. It also features Adreno 330 graphics, a 13 megapixel rear camera and a 2.1 megapixel front camera. The phone is due to launch next month in LG's native South Korea first. It will then roll out in the US and Europe shortly afterwards. Earlier this week, the company was forced to apologise after a PR stunt in Seoul to promote the LG G2 smartphone went wrong. It resulted in 20 people suffering minor injuries. No firm release date has been announced yet, but we'll bring it to you as soon as we know.